Have you been to Kiddie City? Have you heard of Kiddie City? It's a new indoor play-land in Los Angeles. I took my kids to Kiddie City and they fell in luv with the place. I could not get them to leave! However, they did nap for a couple of hours after that playtime so it was a win for them and a win for mommy! As a mom a few of the things I appreciate about Kiddie City are the open space for kids, a separate room for crawlers and younger children, the art room, the nursing lounge, and that I was able to bring my kids their own snacks and lunch. A few other perks to our visit to Kiddie City were the main play room where my children were able to play in a pretend house, grocery store, beauty salon, barbershop, zoo, fire and police department, and the park area. My kids stayed busy for hours! I played with them for a little while, but when I was ready to sit I was able to do so in the parent/caregiver lounge area. In this area I was able to watch my kids play, have access to Kiddie City Wifi, enjoy a snack, and talk with other adults that were their with children. Since becoming a parent I have become even more conscious of germs. Kiddie City was sparkling clean. Kiddie City is a shoe free, socks only zone, which I really appreciate. Best of all they keep loaner sandals near their restrooms so you do not have to go to the bathroom in your socks!!!!!!!!!!! Words cannot express how happy I was to see that small, but thoughtful accommodation. The owner and her staff were extremely nice, parking was easy, and the prices were comparable to other play areas that I have taken my children to. 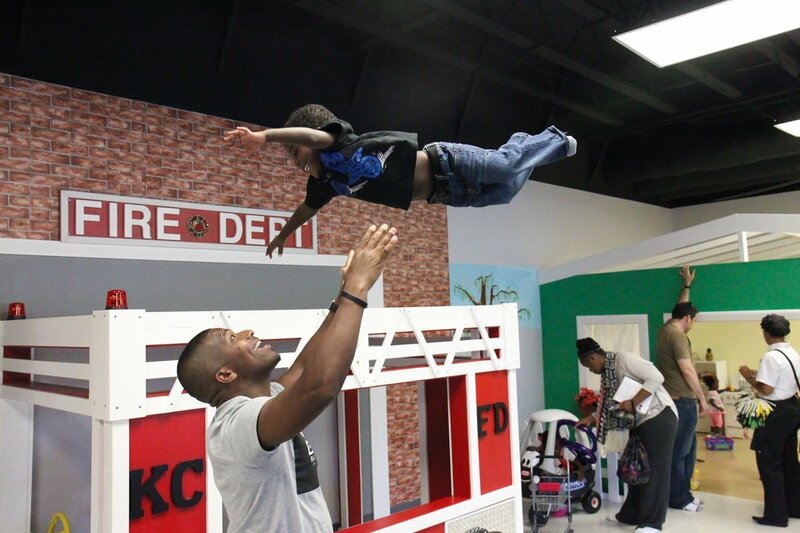 I've been sharing the Good News about the opening of Kiddie City, because I genuinely think the place is awesome, my kids have now been there a few times, and because I want to see this new business stay open for our families and friends to enjoy too.